For my MFA thesis project, I developed textiles for a six-look collection which showed at New York Fashion Week’s Spring/Summer 2017 show. 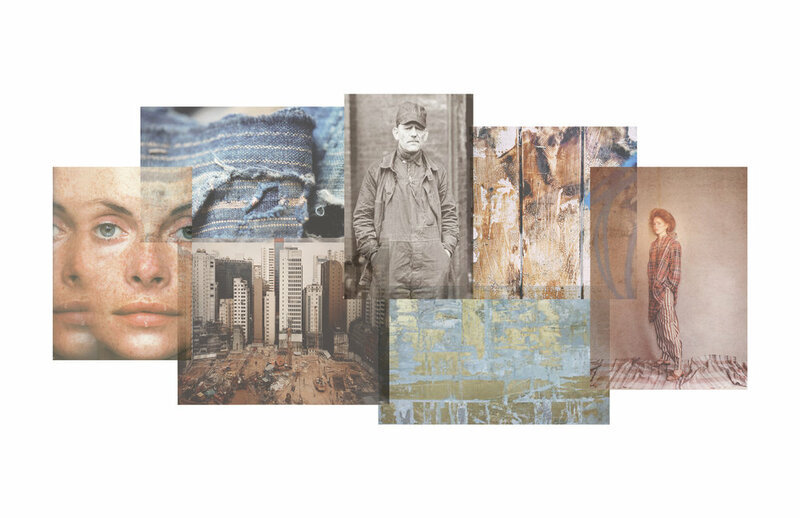 In collaboration with, Dora Li, MFA Fashion Design, I created multi-layered fabrics treated in a burnout technique to resemble the worn-in and mended textures inspired by workwear during The Great Depression of the 1930’s. Additionally, I explored sustainability by using discarded fabrics from outlet stores. By using these unwanted and already made materials, I transformed fabrics from waste to something beautiful and unique. To give my design development a clear direction, I created a mood board which I kept by my side throughout the entire design development process. Above are a few key images that express the mood I wanted to create. 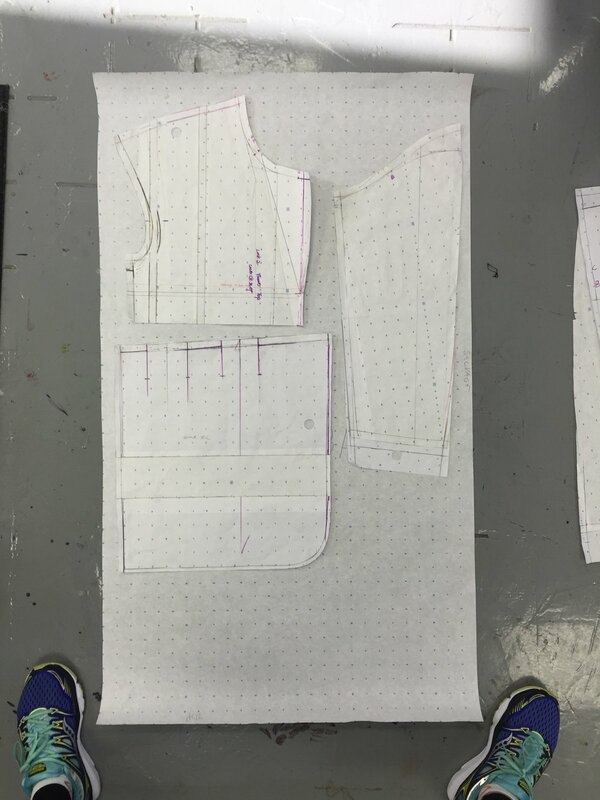 In order to achieve a well-worn and mended effect on the fabric, I gathered numerous fabrics to begin testing. Specifically, I explored using burnout technique. Testing many fabrics was necessary as burnout can, at times, be unpredictable. Testing the fabrics was one of my favorite parts of the design process as the process can produce such a wide array of unexpected results, many which are both beautiful and visually exciting. 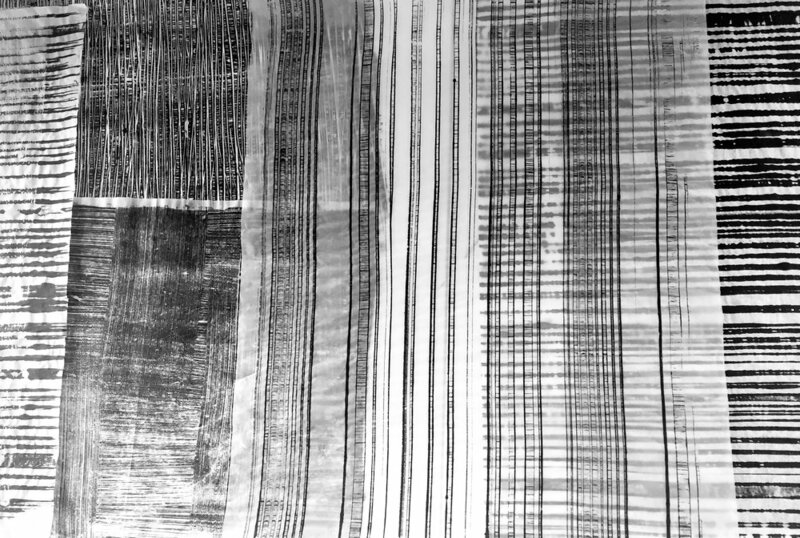 The time I spent experimenting with the impact of this technique on varied fabrics truly felt like play but has given me a greater appreciation of the artistic aspects of textile design. While I was collecting fabrics to test, I walked by a door on the streets of San Francisco. 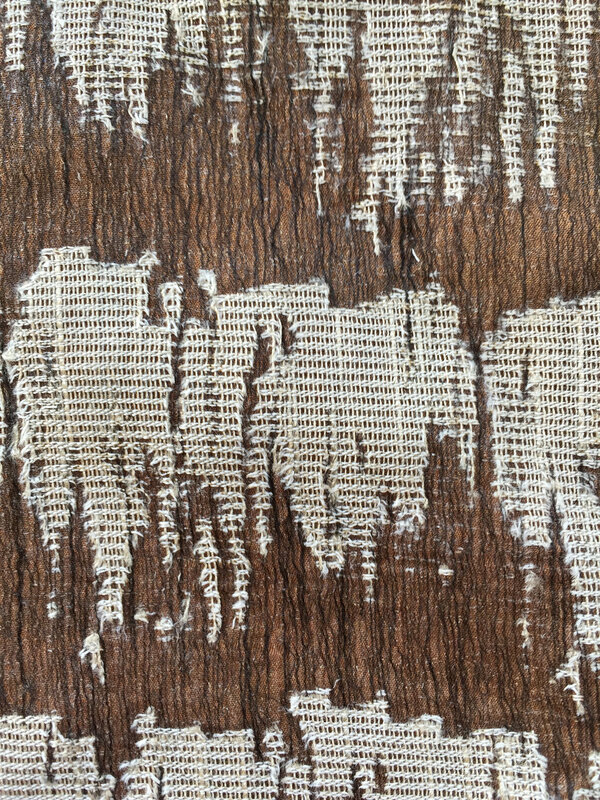 I was in awe of the beautiful, intricate pattern created by old, dried up glue. This visual so nicely reflected the pattern I was seeking to convey in the collection I was developing. With this unexpected inspiration, I began print development by experimenting with a range of monotype techniques in an effort to capture a similar aesthetic in my print. Considerable time in the studio was required to explore how various techniques might reproduce my initial inspiration. 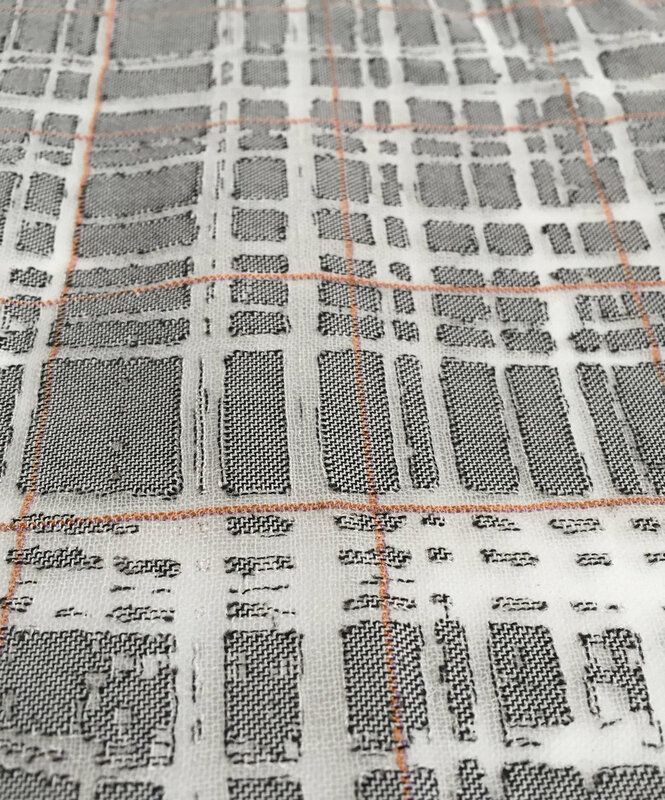 I played with multiple fabric layering and bonding techniques as well as a variety of discharge printing methods. The time spent in the studio expanded my ideas regarding the initial textile design and color concepts and proved critical in my final designs. For me, this stage of the project is where the real learning and creative process happened. This was the period when my fashion design collaborator and I came together to figure out how my textiles and color concepts might best be integrated with her own design concepts to produce an impactful collection. We bounced ideas off each other bringing our differing perspectives to the collection. To create a cohesive look, we experimented with multiple combinations and variations in placements of the textiles within each look. We ultimately decided to use fabrics created using a burnout technique allowing for subtle and interesting textures. 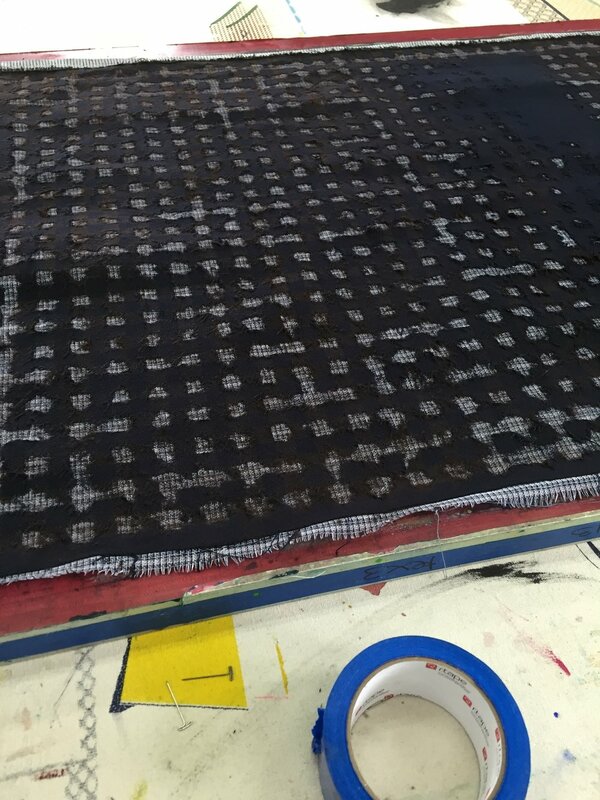 Once swatch designs were finalized, the more technical aspects of creating textiles on a large scale came into play. We calculated how many yards of fabric I would need to produce. In order to accomplish this, I put my prints into a repeat. 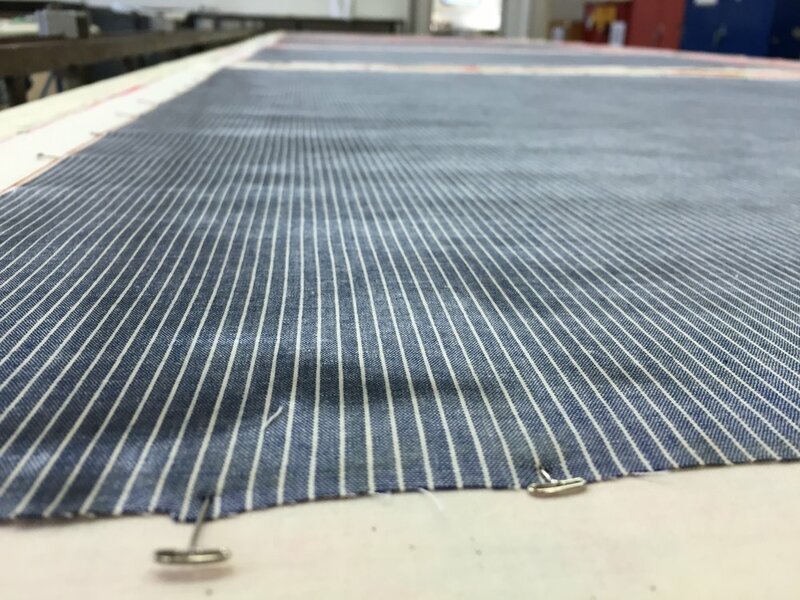 Multiple test swatches were produced to ensure that the quantities of each fabric would be reliably produced. This period required careful attention to technical detail and thorough documentation of those details before committing to production printing. With my notes in hand, I began production. This involved coating, shooting and printing with large screens. Additionally, many of my designs used two fabrics bonded together, so there was a considerable amount of ironing. 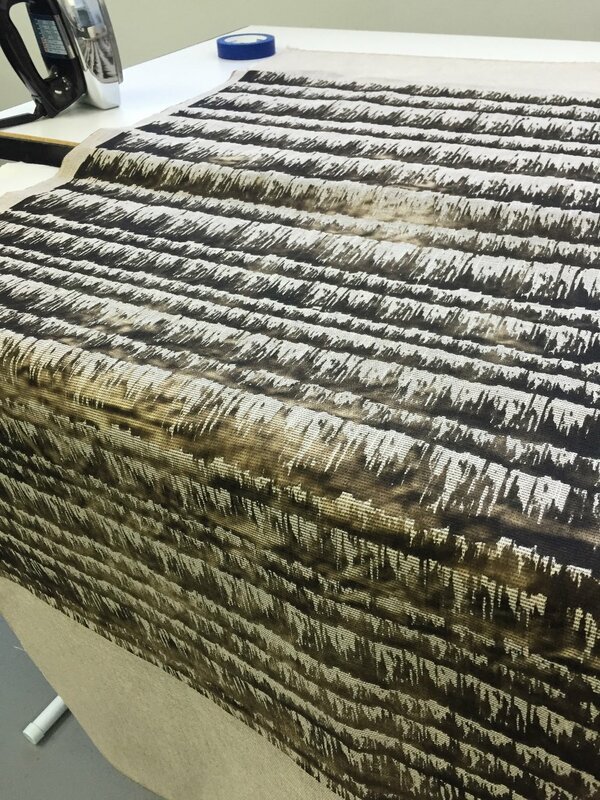 Once materials were bonded, I used burnout paste to print my design on the fabric. Once the paste was dry, I used a heat press and iron to burn away the areas that were printed with the paste. Finally, I washed the fabric to remove the burned-out pattern.